Technical Specifications: The AN/FPS-6 radar is capable of height determination of targets flying between elevation angles of –2 and +32 degrees for any azimuth through-out 360 degrees. The transmitter develops a peak power of 5 Megawatts at a frequency range of 2.7 to 2.9 GHz. The pulse width is 2 usec at a RFP of 400 PPS. Maximum indication range is 200 nautical miles with a height measurement capability to 75,000 feet. Both ranges are readily expandable. Data is displayed on two 12 RHI indicators and mechanical counter assemblies. 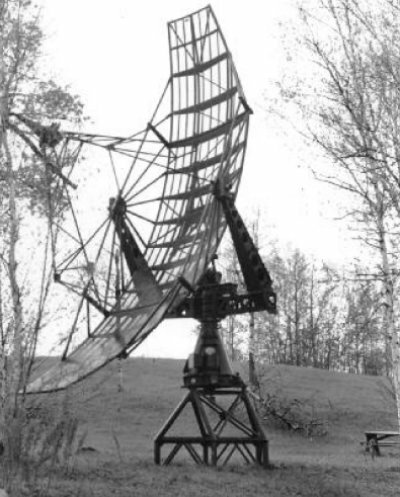 The antenna type is a truncated semi-parabolic reflector with associated waveguide feed sections. Input power requirements are 208V, 30, 60 Hz. This radar is also suited for very high power search functions. 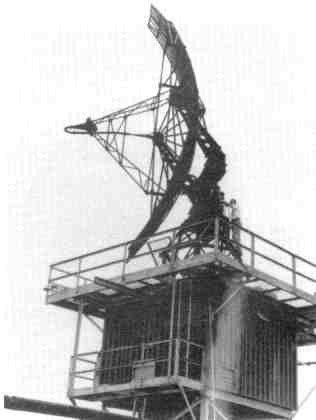 Memorial AN/FPS-6B height finder radar antenna in Gypsumville, MB - 1990. 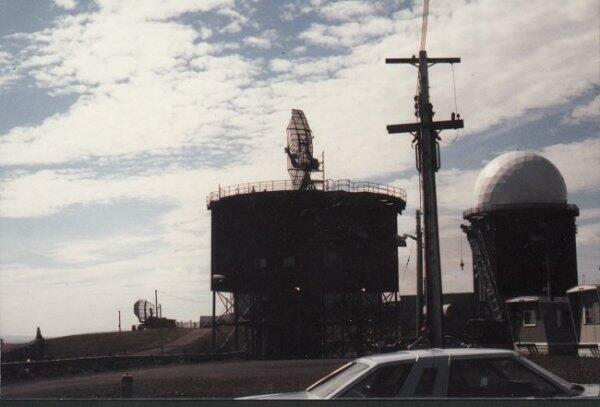 Memorial AN/FPS-6 height finder radar antenna in Sioux Lookout, ON - 1988. 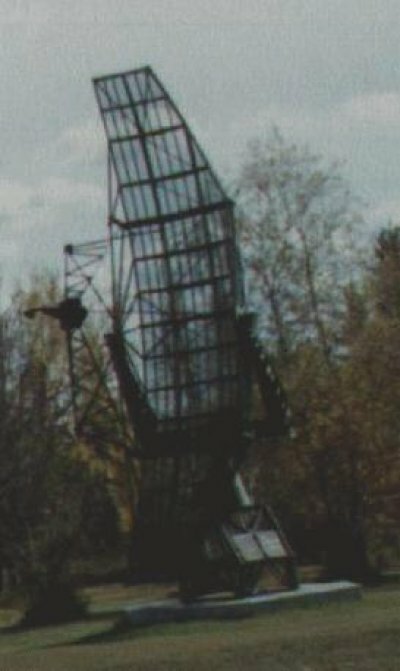 AN/FPS-6 height finder radar antenna in Sydney, NS - 1986. 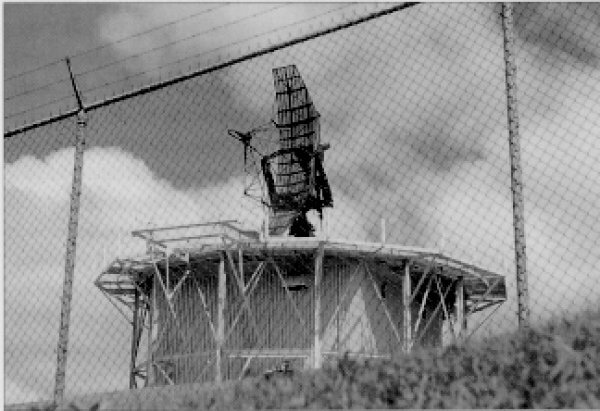 AN/FPS-6 height finder radar antenna in Edgar, ON - 1958. 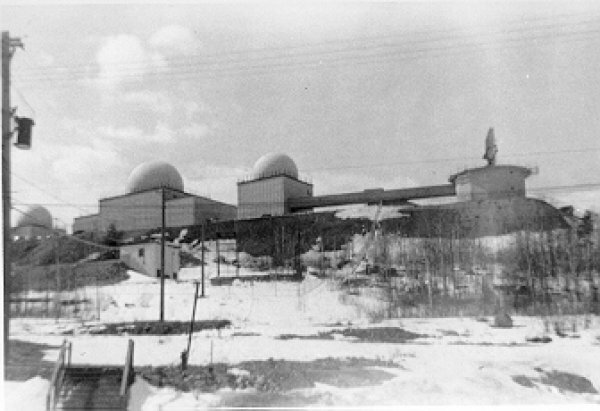 AN/FPS-6 height finder radar antenna in Senneterre, QC - 1958. 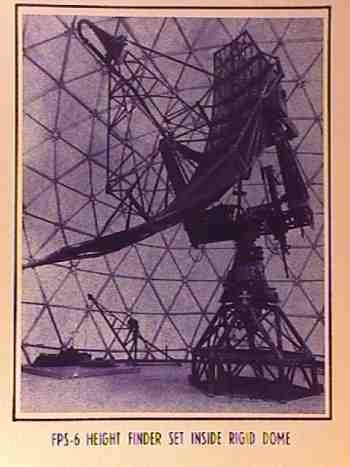 AN/FPS-6 height finder radar antenna.